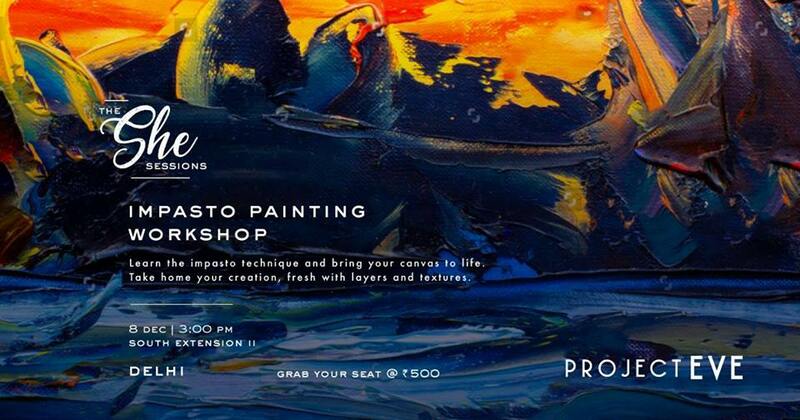 Make the paint pop out of your canvas with the impasto technique. Limited capacity event. Materials provided. Tickets once purchased are non-refundable. The She Sessions is a unique Project Eve property that invites artists, specialists and Eves with a quirk to come together and participate in workshops, panel discussions and other events that enable women to bond, grow and learn through shared experiences. Project Eve is India’s first experiential store for women that brings the worlds of fashion, beauty, cosmetics, accessories and events under one roof. Experience a shopping destination like no other, every time you walk in.